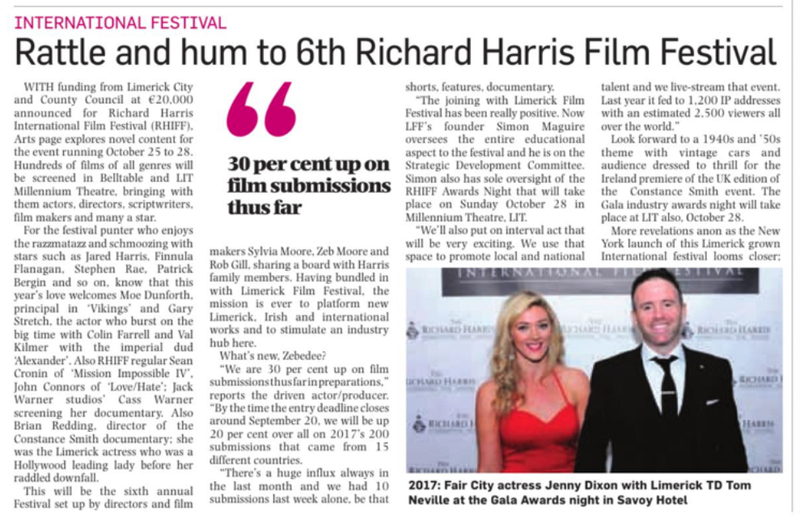 A new series of Short Film Bursaries has been announced by Limerick City and County Council this week. There are two available and will amount to €8000. There is an application process followed by an interview process which is adjudicated by a selected panel.  Are submitting an original proposal or development work in relation to an existing piece.  Capital requests for building improvements to workspaces and venues. For more information go to the website below where you can download the application guidelines and form.